4 January - Prince Erik is officially greeted as heir to the throne by nobility and bishops in Örebro. January - The reformers Olaus Petri and Laurentius Andreae are sentenced to treason but pardoned. - The first Evangelic mass is held in Vadstena Abbey. 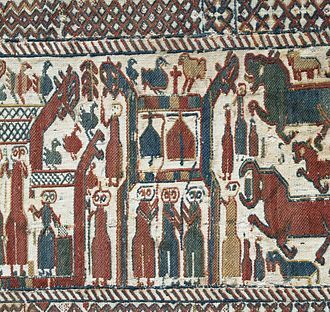 - Georg Norman inspects the churches in Västergötland and Östergötland, confiscates superfluous church valuables and registers dissident priests. 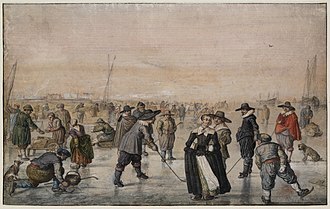 The 17th century was the century that lasted from January 1,1601, to December 31,1700, in the Gregorian calendar. 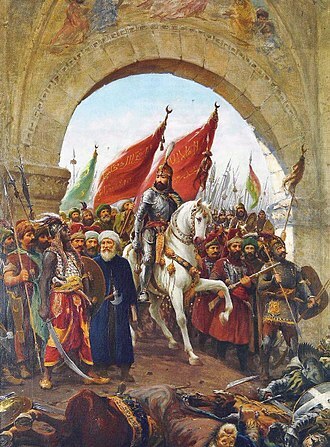 The greatest military conflicts were the Thirty Years War, the Great Turkish War, in the Islamic world, the Ottoman, Safavid Persian and Mughal empires grew in strength. In Japan, Tokugawa Ieyasu established the Edo period at the beginning of the century, European politics were dominated by the Kingdom of France of Louis XIV, where royal power was solidified domestically in the civil war of the Fronde. 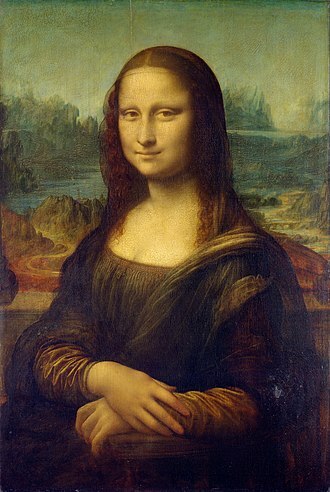 With domestic peace assured, Louis XIV caused the borders of France to be expanded and it was during this century that English monarch became a symbolic figurehead and Parliament was the dominant force in government – a contrast to most of Europe, in particular France. It was a period of development of culture in general,1600, On February 17 Giordano Bruno is burned at the stake by the Inquisition. 1600, Michael the Brave unifies the three Romanian countries, Wallachia and Transylvania after the Battle of Șelimbăr from 1599. 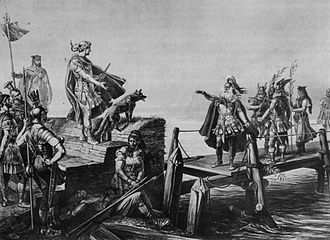 1601, Battle of Kinsale, England defeats Irish and Spanish forces at the town of Kinsale, driving the Gaelic aristocracy out of Ireland and destroying the Gaelic clan system. 1601, Michael the Brave, voivode of Wallachia and Transylvania, is assassinated by the order of the Habsburg general Giorgio Basta at Câmpia Turzii, 1601–1603, The Russian famine of 1601–1603 kills perhaps one-third of Russia. 1601, Panembahan Senopati, first king of Mataram and passes rule to his son Panembahan Seda ing Krapyak 1601,1602, Matteo Ricci produces the Map of the Myriad Countries of the World, a world map that will be used throughout East Asia for centuries. 1602, The Portuguese send an expeditionary force from Malacca which succeeded in reimposing a degree of Portuguese control. 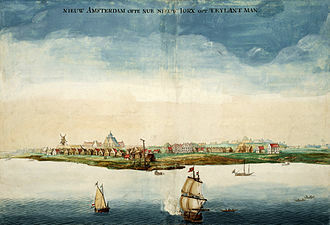 1602, The Dutch East India Company is established by merging competing Dutch trading companies and its success contributes to the Dutch Golden Age. 1602, Two emissaries from the Aceh Sultanate visit the Dutch Republic,1603, Elizabeth I of England dies and is succeeded by her cousin King James VI of Scotland, uniting the crowns of Scotland and England. Malta has a long history and has been inhabited since settlers from Sicily arrived around 5200 BC. Malta became an independent state in 1964, and a republic in 1974, since 2004 the country has been a member state of the European Union. Malta stands on a ridge that extends from North Africa to Sicily. At some time in the distant past, Malta was submerged, some caverns in Malta have revealed bones of elephants and other large animals now found in Africa, while others have revealed animals native to Europe. People first arrived in Malta around 5200 BC and these first Neolithic people probably arrived from Sicily, and were mainly farming and fishing communities, with some evidence of hunting activities. They apparently lived in caves and open dwellings, during the centuries that followed there is evidence of further contacts with other cultures, which left their influence on the local communities, evidenced by their pottery designs and colours. One of the most notable periods of Maltas history is the temple period, the Ġgantija Temple in Gozo is one of the oldest free-standing buildings in the world. The name of the stems from the Maltese word ġgant. Many of the temples are in the form of five semicircular rooms connected at the centre. It has been suggested that these might have represented the head and legs of a deity, the Temple period lasted until about 2500 BC, at which point the civilization that raised these huge monoliths seems to have disappeared. There is much speculation about what might have happened and whether they were wiped out or assimilated. After the Temple period came the Bronze Age, from this period there are remains of a number of settlements and villages, as well as dolmens — altar-like structures made out of very large slabs of stone. They are claimed to belong to a population certainly different from that which built the megalithic temples. It is presumed the population arrived from Sicily because of the similarity to the found in the largest island of the Mediterranean sea. One surviving menhir, which was used to build temples, still stands at Kirkop, among the most interesting and mysterious remnants of this era are the so-called cart ruts as they can be seen at a place on Malta called Clapham Junction. The history of Portugal dates back to the Early Middle Ages. The country was weakened by the destruction of much of its capital city in an earthquake in 1755, occupation during the Napoleonic Wars. From the middle of the 19th century to the late 1950s, in 1910, there was a revolution that deposed the monarchy. Amid corruption, repression of the church, and the bankruptcy of the state. The new government instituted sweeping reforms and granted independence to all of Portugals African colonies in 1975. Portugal is a member of the North Atlantic Treaty Organization, the Organisation for Economic Co-operation and Development. It entered the European Economic Community in 1986, the word Portugal derives from the Roman-Celtic place name Portus Cale. Around 200 BC, the Romans took the Iberian Peninsula from the Carthaginians during the Second Punic War, during the Dark Ages, the region around Portus Cale became known by the Suebi and Visigoths as Portucale. By the 11th and 12th centuries, Portugale was already referred to as Portugal, the precise etymology of the name Cale is somewhat mysterious, although the most plausible origin points to Cale being a Celtic name, like many others found in the region. Indeed the word cale or cala meant port, an inlet or harbour, furthermore todays Gaelic word for harbour is indeed Cala. Some argue it is the stem of Gallaecia, again of Celtic derivation, another theory claims it derives from the word Caladunum. In any case, the particle Portu in the word Portucale was used as the basis of Porto, and port became the English name of the wine actually produced further inland, in the Upper Douro Valley region, but exported through Porto. The name Cale is today reflected in Gaia, a city on the bank of the river. 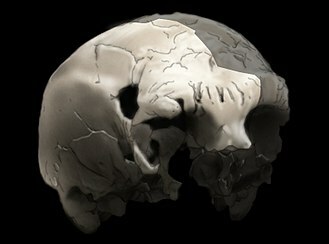 The region of present-day Portugal was inhabited by Neanderthals, and by Homo sapiens, Neanderthals probably arrived 100,000 years BP. A Neanderthal tooth found at Nova da Columbiera cave in Estremadura is one of the oldest human fossils so far discovered, Homo sapiens sapiens arrived in Portugal in around 35,000 years ago and spread rapidly throughout the country. Pre-Celtic tribes inhabited Portugal leaving a remarkable cultural footprint, the Cynetes developed a written language, leaving many stelae, which are mainly found in the south of Portugal. 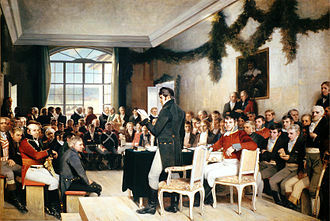 Initially of low standing, Gustav rose to lead the rebel movement following the Stockholm Bloodbath, in which his father perished. 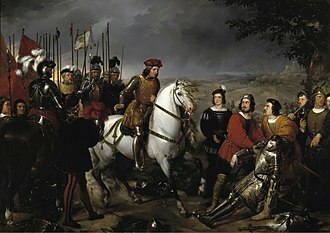 As King, Gustav proved an administrator with a ruthless streak not inferior to his predecessors. He worked to raise taxes, end Feudalism and bring about a Swedish Reformation, replacing the prerogatives of local landowners and clergy with centrally appointed governors and bishops. Due to a vibrant dynastic succession, his three sons, Erik and Karl IX, all held the kingship at different points, Gustav I has subsequently been labelled the founder of modern Sweden, and the father of the nation. Gustav liked to compare himself to Moses, whom he believed to have liberated his people. As a person, Gustav was known for ruthless methods and a bad temper and he founded one of the now oldest orchestras of the world, the Kungliga Hovkapellet. 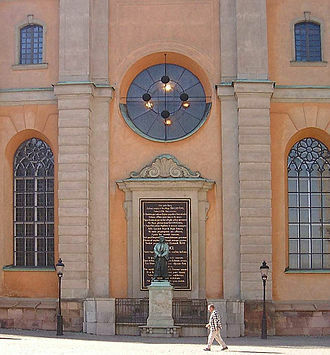 Royal housekeeping accounts from 1526 mention twelve musicians including wind players, today the Kungliga Hovkapellet is the orchestra of the Royal Swedish Opera. Gustav Eriksson, a son of Cecilia Månsdotter Eka and Erik Johansson Vasa, was born in 1496. The birth most likely place in Rydboholm Castle, northeast of Stockholm. The newborn got his name, from Eriks grandfather Gustav Anundsson, Erik Johanssons parents were Johan Kristersson and Birgitta Gustafsdotter of the dynasties Vasa and Sture respectively, both dynasties of high nobility. Birgitta Gustafsdotter was the sister of Sten Sture the Elder, regent of Sweden, being a relative and ally of uncle Sten Sture, Erik inherited the regents estates in Uppland and Södermanland when the latter died in 1503. Although a member of a family with considerable properties since childhood, according to genealogical research, Birgitta Gustafsdotter and Sten Sture were descended from King Sverker II of Sweden, through King Sverkers granddaughter Benedikte Sunesdotter. 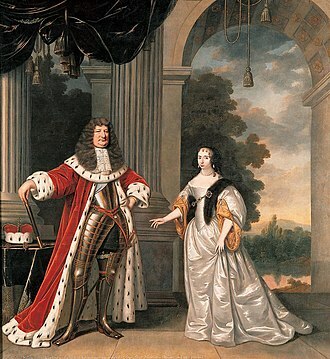 One of King Gustavs great-grandmothers was a half-sister of King Charles VIII of Sweden, since the end of the 14th century, Sweden had been a part of the Kalmar Union with Denmark and Norway. The early history of the region is tied to that of Alpine culture. 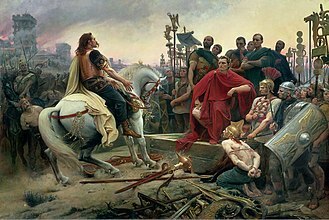 Switzerland was inhabited by Gauls and Raetians, and it came under Roman rule in the 1st century BC, gallo-Roman culture was amalgamated with Germanic influence during Late Antiquity, with the eastern part of Switzerland becoming Alemannic territory. 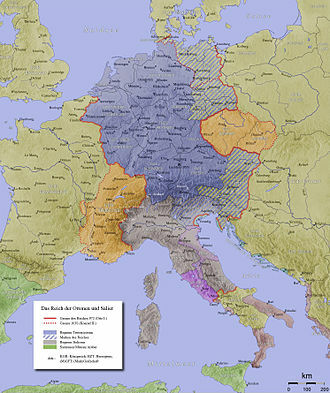 The area of Switzerland was incorporated into the Frankish Empire in the 6th century, in the high medieval period, the eastern part became part of the Duchy of Swabia within the Holy Roman Empire while the western part was part of Burgundy. The Swiss Reformation divided the Confederacy and resulted in a history of internal strife between the Thirteen Cantons in the Early Modern period. 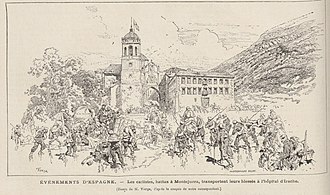 In the wake of the French Revolution, Switzerland fell to a French invasion in 1798 and was reformed into the Helvetic Republic, the history of Switzerland since 1848 has been largely one of success and prosperity. 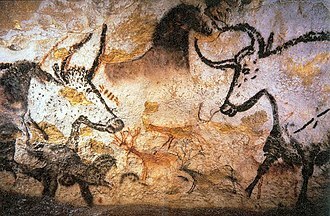 Archeological evidence suggests that hunter-gatherers were already settled in the north of the Alps in the Middle Paleolithic period 150,000 years ago. By the Neolithic period, the area was densely populated. Remains of Bronze Age pile dwellings from as early as 3800 BC have been found in the areas of many lakes. Around 1500 BC, Celtic tribes settled in the area, the Raetians lived in the eastern regions, while the west was occupied by the Helvetii. 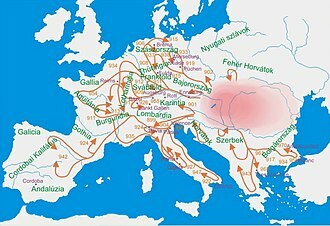 In 58 BC, the Helvetii tried to evade migratory pressure from Germanic tribes by moving into Gaul, the alpine region became integrated into the Roman Empire and was extensively romanized in the course of the following centuries. 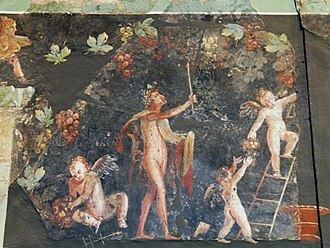 The center of Roman administration was at Aventicum, in 259, Alamanni tribes overran the Limes, putting the settlements on Swiss territory on the frontier of the Roman Empire. The first Christian bishoprics were founded in the fourth century, with the fall of the Western Roman Empire, Germanic tribes entered the area. Burgundians settled in the west, while in the north, Alamanni settlers slowly forced the earlier Celto-Roman population to retreat into the mountains, Burgundy became a part of the kingdom of the Franks in 534, two years later, the dukedom of the Alamans followed suit. The Papal States, officially the State of the Church, were territories in the Italian Peninsula under the sovereign direct rule of the pope, from the 8th century until 1870. They were among the states of Italy from roughly the 8th century until the Italian Peninsula was unified in 1861 by the Kingdom of Piedmont-Sardinia. At their zenith, they covered most of the modern Italian regions of Lazio, Marche and Romagna and these holdings were considered to be a manifestation of the temporal power of the pope, as opposed to his ecclesiastical primacy. By 1861, much of the Papal States territory had been conquered by the Kingdom of Italy, only Lazio, including Rome, remained under the Popes temporal control. In 1870, the pope lost Lazio and Rome and had no physical territory at all, Italian Fascist leader Benito Mussolini ended the crisis between unified Italy and the Vatican by signing the Lateran Treaty, granting the Vatican City State sovereignty. The Papal States were known as the Papal State, the territories were referred to variously as the State of the Church, the Pontifical States, the Ecclesiastical States, or the Roman States. For its first 300 years the Catholic Church was persecuted and unrecognized and this system began to change during the reign of the emperor Constantine I, who made Christianity legal within the Roman Empire, and restoring to it any properties that had been confiscated. The Lateran Palace was the first significant new donation to the Church, other donations followed, primarily in mainland Italy but in the provinces of the Roman Empire. But the Church held all of these lands as a private landowner, the seeds of the Papal States as a sovereign political entity were planted in the 6th century. Beginning In 535, the Byzantine Empire, under emperor Justinian I, launched a reconquest of Italy that took decades and devastated Italys political, just as these wars wound down, the Lombards entered the peninsula from the north and conquered much of the countryside. While the popes remained Byzantine subjects, in practice the Duchy of Rome, the pope and the exarch still worked together to control the rising power of the Lombards in Italy. As Byzantine power weakened, the took a ever larger role in defending Rome from the Lombards. In practice, the papal efforts served to focus Lombard aggrandizement on the exarch, a climactic moment in the founding of the Papal States was the agreement over boundaries embodied in the Lombard king Liutprands Donation of Sutri to Pope Gregory II. When the Exarchate of Ravenna finally fell to the Lombards in 751, the popes renewed earlier attempts to secure the support of the Franks. In 751, Pope Zachary had Pepin the Younger crowned king in place of the powerless Merovingian figurehead king Childeric III, zacharys successor, Pope Stephen II, granted Pepin the title Patrician of the Romans. Pepin led a Frankish army into Italy in 754 and 756, Pepin defeated the Lombards – taking control of northern Italy – and made a gift of the properties formerly constituting the Exarchate of Ravenna to the pope. The cooperation between the papacy and the Carolingian dynasty climaxed in 800, when Pope Leo III crowned Charlemagne Emperor, the precise nature of the relationship between the popes and emperors – and between the Papal States and the Empire – is disputed. The Isle of Man had become separated from Britain and Ireland by 6500 BC. It appears that colonisation took place by sea sometime during the Mesolithic era, the island has been visited by various raiders and trading peoples over the years. After being settled by people from Ireland in the first millennium, after becoming subject to Norwegian suzerainty as part of the Kingdom of Mann and the Isles, the Isle of Man became a possession of the Scottish and the English crowns. Since 1866, the Isle of Man has been a Crown Dependency and has democratic self-government, a land bridge had earlier existed between the Isle of Man and Cumbria, but the location and opening of the land bridge remain poorly understood. The earliest traces of people on the Isle of Man date back to the Mesolithic Period, the first residents lived in small natural shelters, hunting and fishing for their food. They used small tools made of flint or bone, examples of which have been found near the coast, representatives of these artifacts are kept at the Manx National Heritage museum. The Neolithic Period marked the coming of farming, improved stone tools, during this period megalithic monuments began to appear around the island. Examples are found at Cashtal yn Ard near Maughold, King Orrys Grave in Laxey, Meayll Circle near Cregneash, the builders of the megaliths were not the only culture during this time, there are remains of the local Ronaldsway culture and that of Bann. During the Bronze Age, the communal tombs of the Megalithic culture were replaced with smaller burial mounds. Bodies were put in stone lined graves along with ornamental containers, the Bronze Age burial mounds created long-lasting markers around the countryside. The Iron Age marked the beginning of Celtic cultural influence, large hill forts appeared on hill summits and smaller promontory forts along the coastal cliffs, whilst large timber-framed roundhouses were built. 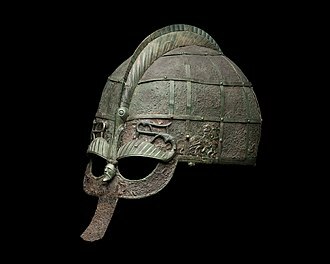 It is likely that the first Celts to inhabit the Island were Brythonic tribes from mainland Britain, the secular history of the Isle of Man during the Brythonic period remains mysterious. For the history of the area before this period, see Pannonian basin before Hungary. The oldest archaeological site in Hungary is Vértesszőlős, where palaeolithic Oldowan pebble tools, the Roman Empire conquered territory west of the Danube River between 35 and 9 BC. From 9 BC to the end of the 4th century AD, among the first to arrive were the Huns, who built up a powerful empire under Attila the Hun in 435 AD. Attila was regarded in past centuries as a ruler of the Hungarians. They entered what is now Hungary in the 7th century AD, the Avar Khaganate was weakened by constant wars and outside pressure, and the Franks under Charlemagne managed to defeat the Avars to end their 250-year rule. Árpád was the leader who unified the Magyar tribes via the Covenant of Blood and he led the new nation to the Carpathian Basin in the 9th century. Between 895 and 902 the whole area of the Carpathian Basin was conquered by the Hungarians, an early Hungarian state was formed in this territory in 895. 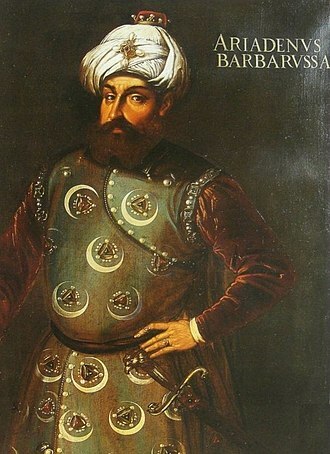 The military power of the nation allowed the Hungarians to conduct successful fierce campaigns, Prince Géza of the Árpád dynasty, who ruled only part of the united territory, was the nominal overlord of all seven Magyar tribes. 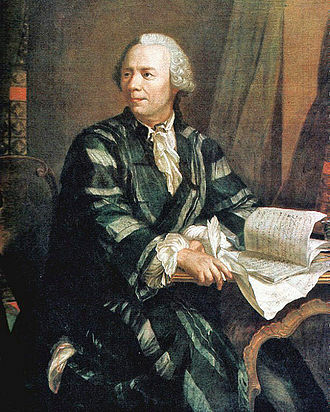 He aimed to integrate Hungary into Christian Western Europe by rebuilding the state according to the Western political and social models, Géza established a dynasty by naming his son Vajk as his successor. This decision was contrary to the dominant tradition of the time to have the eldest surviving member of the ruling family succeed the incumbent. By ancestral right, Prince Koppány, the oldest member of the dynasty, should have claimed the throne, Koppány did not relinquish his ancestral rights without a fight. 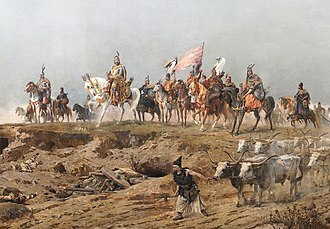 After Gézas death in 997, Koppány took up arms, the rebels claimed to represent the old political order, ancient human rights, tribal independence and pagan belief. Stephen won a victory over his uncle Koppány and had him executed. Hungary was recognized as a Catholic Apostolic Kingdom under Saint Stephen I, Stephen was the son of Géza and thus a descendant of Árpád. Stephen was crowned with the Holy Crown of Hungary in the first day of 1000 AD in the city of Esztergom. 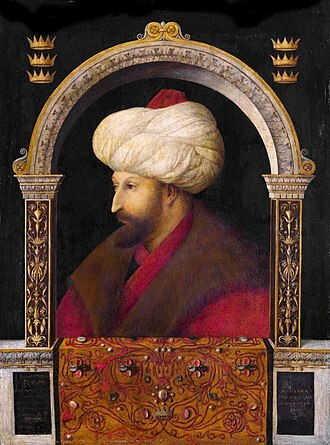 Pope Sylvester II conferred on him the right to have the cross carried before him, with full authority over bishoprics. 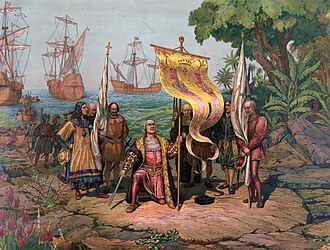 Gergio Deluci, Christopher Columbus Arrives in America in 1492, 1893 painting. 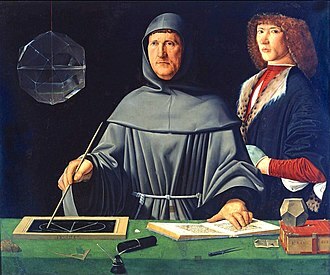 Portrait of the founder of accounting, Luca Pacioli, by Jacopo de' Barbari (Museo di Capodimonte). 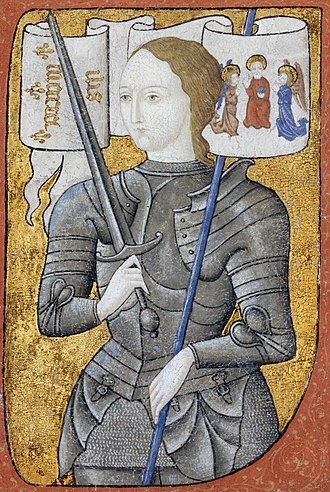 Joan of Arc, a French peasant girl, directly influenced the result of the Hundred Years' War. 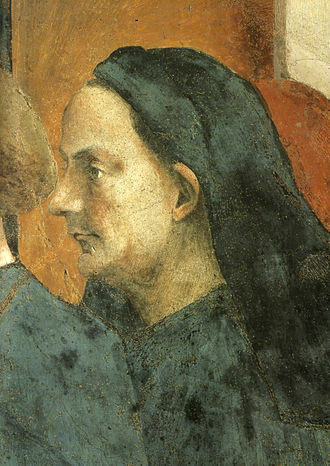 Filippo Brunelleschi, regarded as one of the greatest engineers and architects of all time. 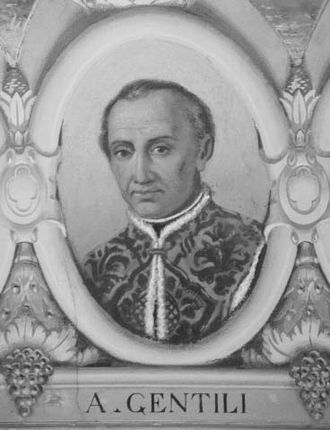 Dr Alberico Gentili, The Father of international law. 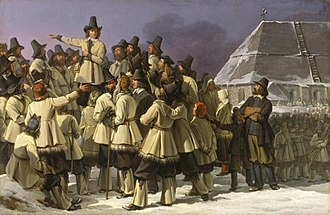 Gustav Eriksson addressing men from Dalarna in Mora. Painting by Johan Gustaf Sandberg. Roggeborgen in Strängnäs was a central location during the events when Gustav Eriksson was elected king of Sweden. Summertime agricultural landscape around Flo, south of Vänern. These plains are part of the geographical Central Swedish lowland and the geological Sub-Cambrian peneplain. Church of Saint Nicholas in Rodemack, France, where Cecilia's remains rest. 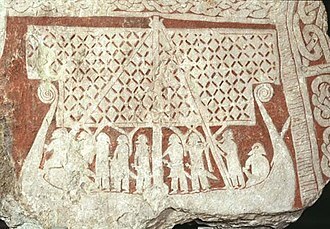 The army of Gustav Vasa on its way to defeat Nils Dacke. The first page of Abckiria.